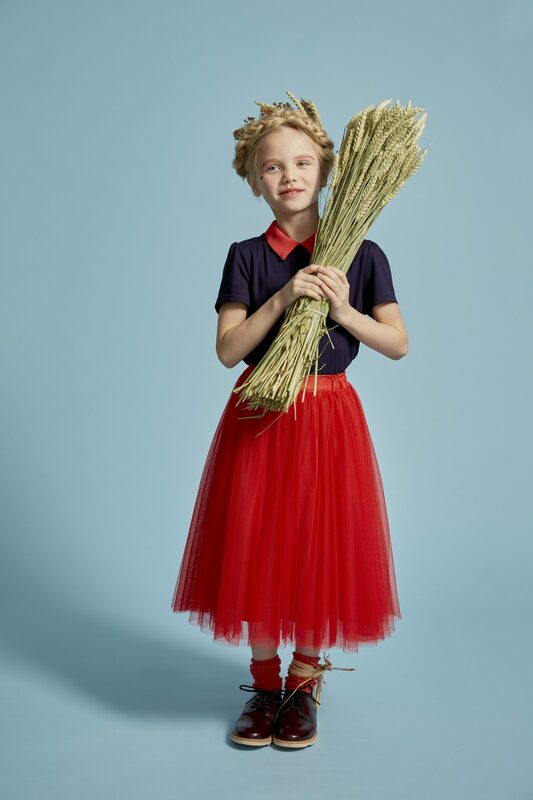 The Firefly Skirt is beautifully crafted from layers of soft billowing Parisian tulle, finished with a navy satin ribbon tie at the waist and designed to fall below the knee, for a cool but classy, timeless look. The Firefly Skirt is beautifully crafted from layers of soft billowing Parisian tulle. A soft elasticated waistband gently gathers folds of the red satin lining, finished with a navy satin ribbon tie at the waist and designed to fall below the knee, for a cool but classy, timeless look. This stunning skirt is the perfect party piece and looks sensational worn with our Robin Velvet Top for any special occasion, or simply wear it with one of our classic jersey tops – we love it either way!